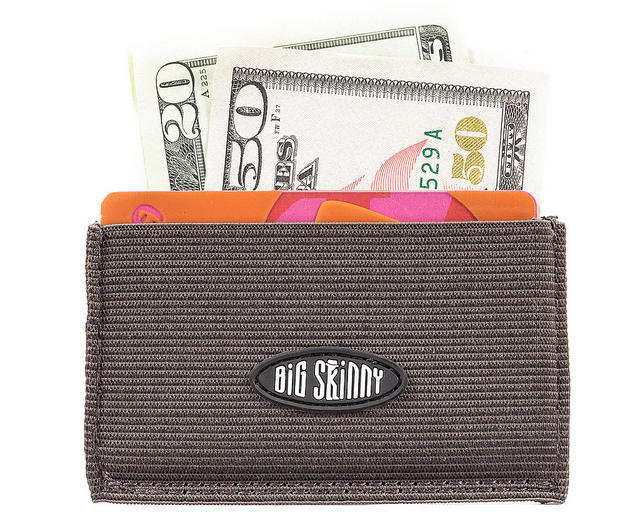 Our Mini Stretch card holder from Big Skinny is winning rave reviews for its superior quality and super-thin construction. 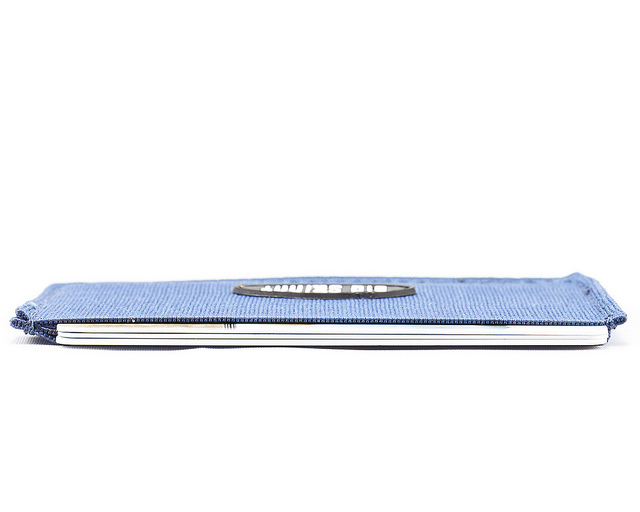 Scroll down to read love letters from our customers for this awesome stretchy wallet. 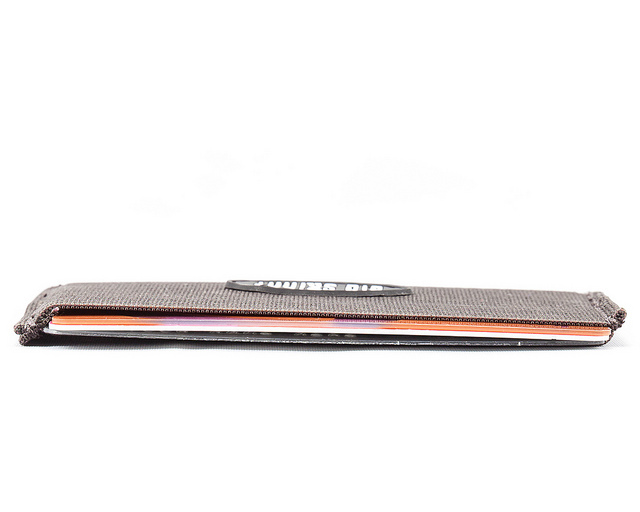 It's made of incredibly thin elastic that wraps around your cards to keep them from slipping out. 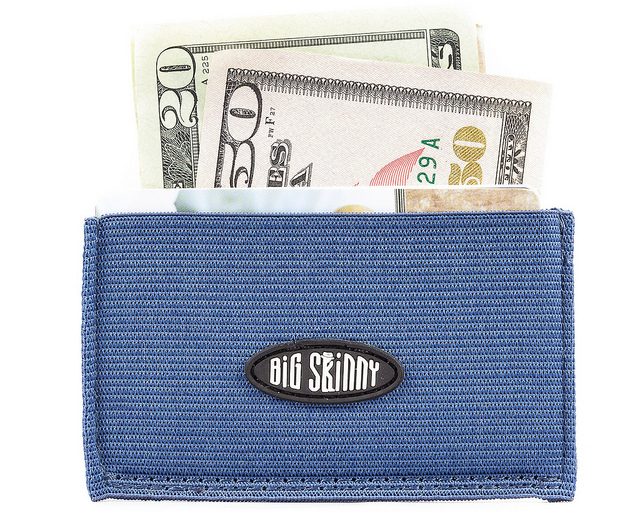 Stash up to 10 plastic cards and a little folding money into a pocket wallet that measures only 3 � inches by 2 3/16 inches. Order yours in brown, navy blue or black. Take it anywhere. 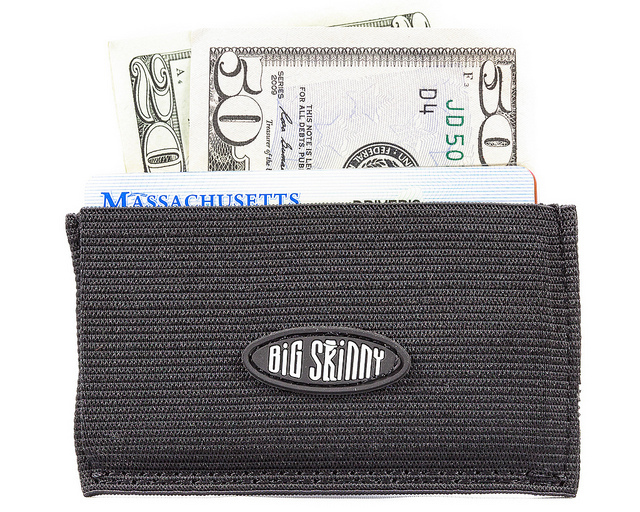 Our Mini Stretch plastic credit card and ID holder will slip into your back or front pants pocket, your shirt pocket or a purse. Make it disappear up your sleeve. Fold up a couple of fives or a twenty for pocket money, and you're good to go. "I would definitely recommend it for fat wallet haters," writes on happy buyer. "It holds the cards in tight, and I barely know it's in my front pocket," says another happy customer. We guarantee your satisfaction. 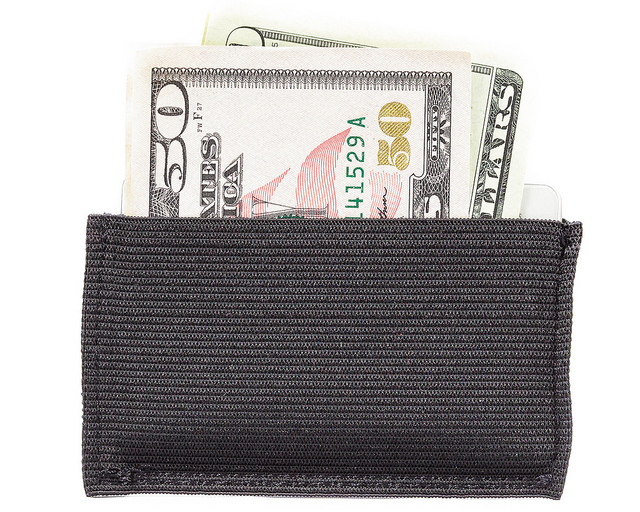 I use the mini stretch wallet to bring my driver's license and a few dollars with me when I walk my dogs. 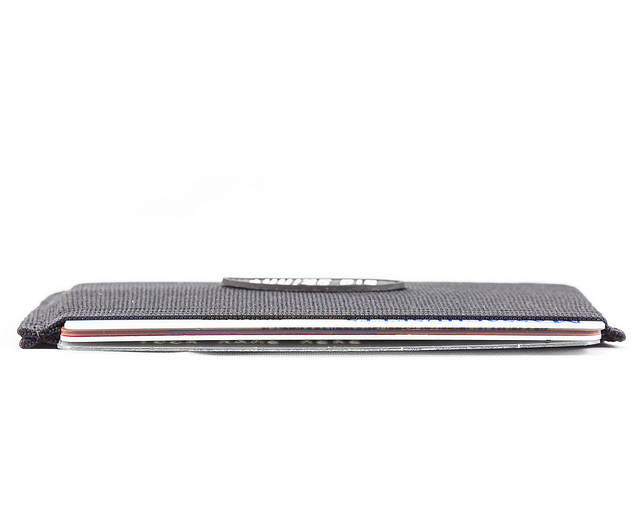 It's perfect for that - very compact and slips into a "Stashband." Lovely. Perfect for when you need just a few cards for a night out on the town or when you are traveling and want to keep the important IDs and cards in a secure location in your purse. ConsThe elastic will eventually stretch out. This little guy is a gem!!! For a day or night out tuck a few bucks and cards in this little stretch, slip it in your front pocket and, off you go. Nice size and holds more than you think. I enjoy this so much as I don't enjoy purses when riding or walking around my neighborhood or even running to the grocery store. Just grab it and stick it in my pocket, most any size pocket front or back, and no bulk. I love the mini stretch. All my gift cards and reward cards go into this without taking up hardly any space in my purse. It is like a compression holder for all your cards. 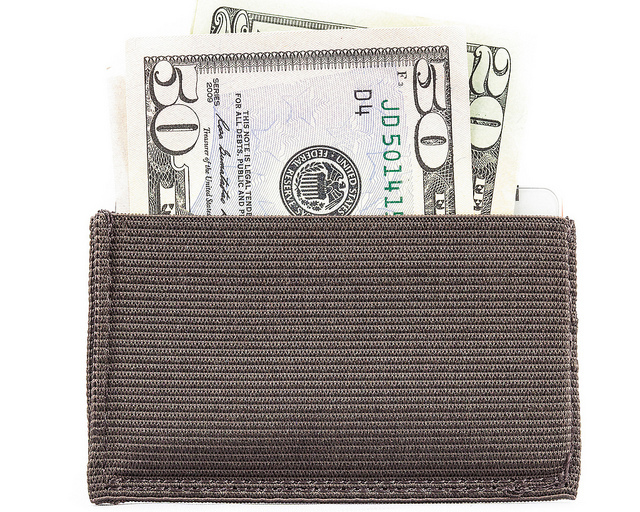 Overall a great wallet, if you want to even call it that, for a man who carries but a few cards. I carry only 4 cards and it locks them in well. I also put a few dollar dollar bills in the sleeve as well and it still works great. Anything after 4 cards may get little difficult to start pulling them out but it could fit 6 no problem. Overall, great product, great price, I'm sold! This is about as small as you can get and still hold some cards and money. I am using it to hold about 5 cards + drivers license and about 6 folded paper bills of money and it remains super thin in my pocket. 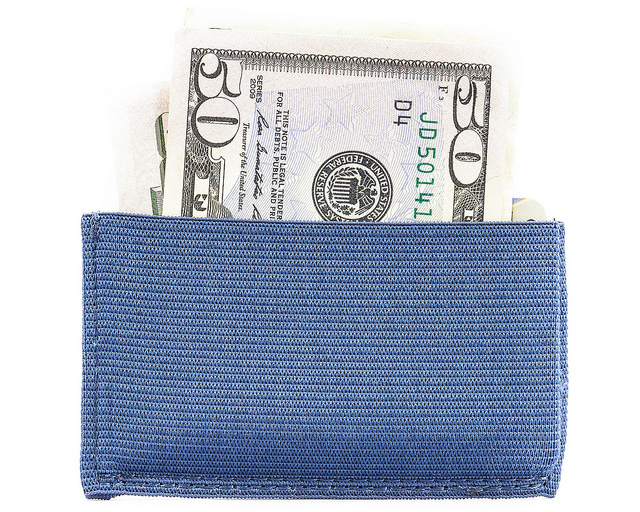 Great for someone who does not want any amount of wallet in their pockets. This is even more compact than the open sided mini skinny i was using. What a joke this wallet is.....made for a doll.I threw it out!